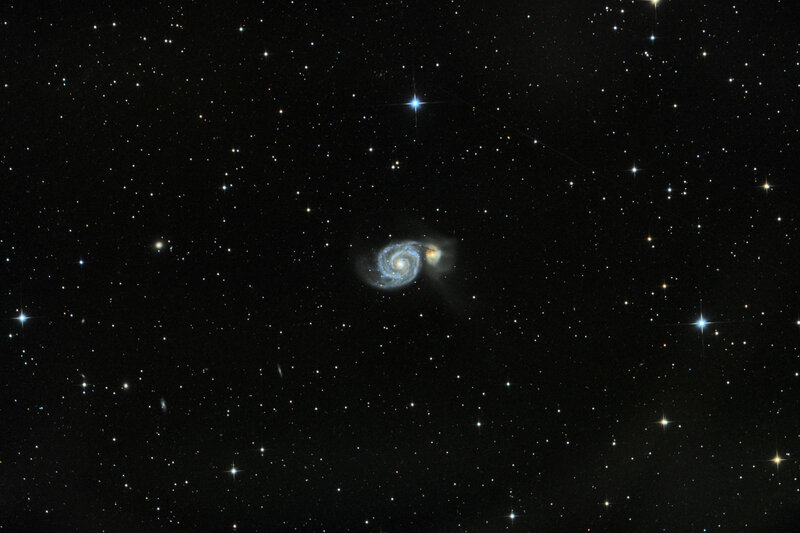 The daft name was the one N.I.N.A's object browser put into the Sequence name, I had searched for M51, as ya do... I thoroughly recommend N.I.N.A. as a capture app. I am using Version 1.8 RC006. Click for the full size image, I've only trimmed 90px off each side to cover stacking artifacts.